I soldered leads to a 1-gate logic inverter. This wasn’t easy because the part is so small. Then connect it to 3.3v, GND, and the RTS line coming out of the WiReach. Then I cut the RTS trace on the bottom of the board. I connected the output of the inverter to the input of the line driver IC. Some Kapton tape holds it all in place. It is a really terrible hack, but it works. Hardware flow control works as expected, now. I’m going to design a version 1.1 of the board that includes the inverter. Also I can remove the extra GPIO/Reset stuff since the “power good/reset” circuit works. 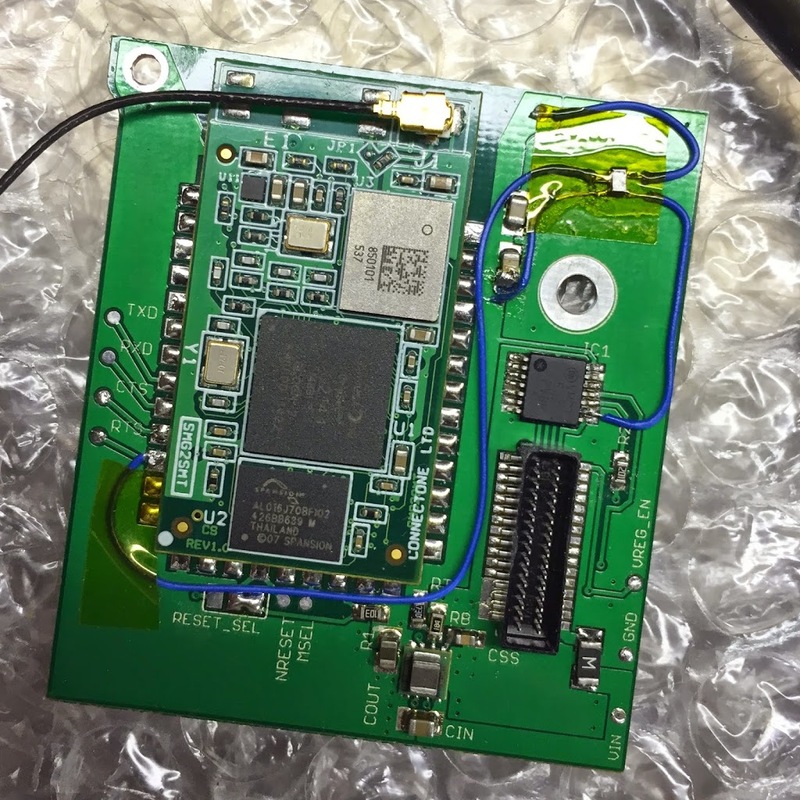 Previous Previous post: WiFi Board For Newton: A Success?